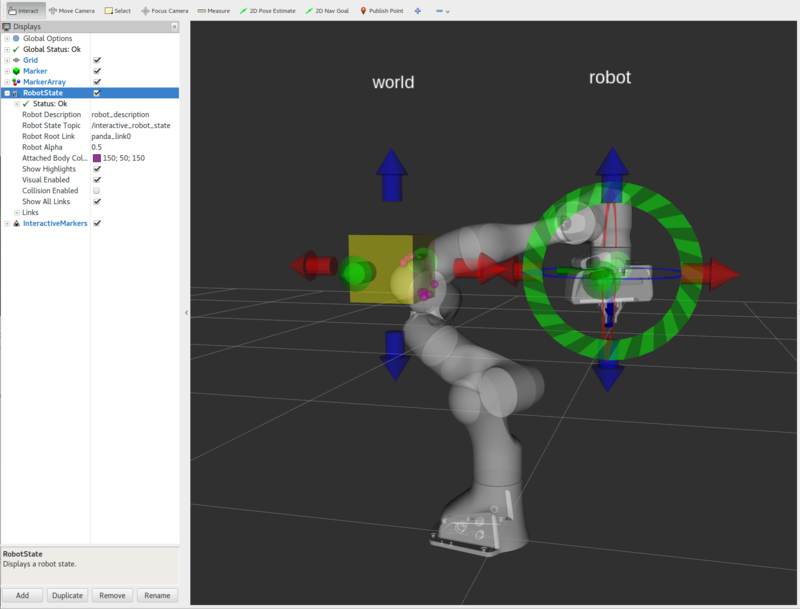 You should now see the Panda robot with 2 interactive markers which you can drag around. 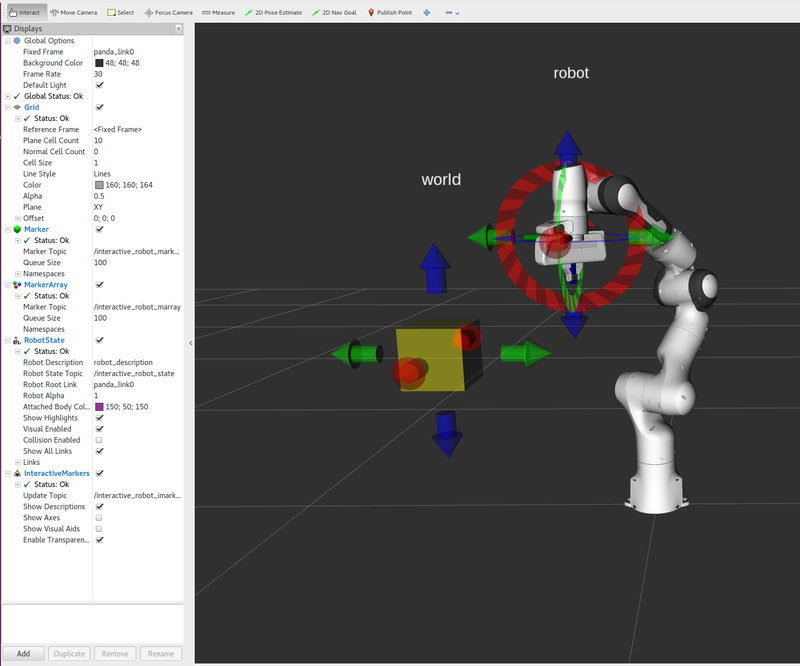 The entire code can be seen here in the moveit_tutorials GitHub project. Libraries used can be found here. A lot of information necessary for understanding how this demo works is left out to keep this tutorial focused on collision contacts. To understand this demo fully, it is highly recommended that you read through the source code.